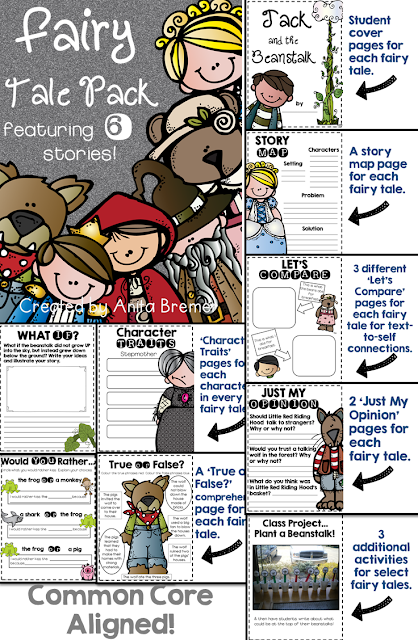 We wrapped up a unit on Fairy Tales...one of our favorite genres! 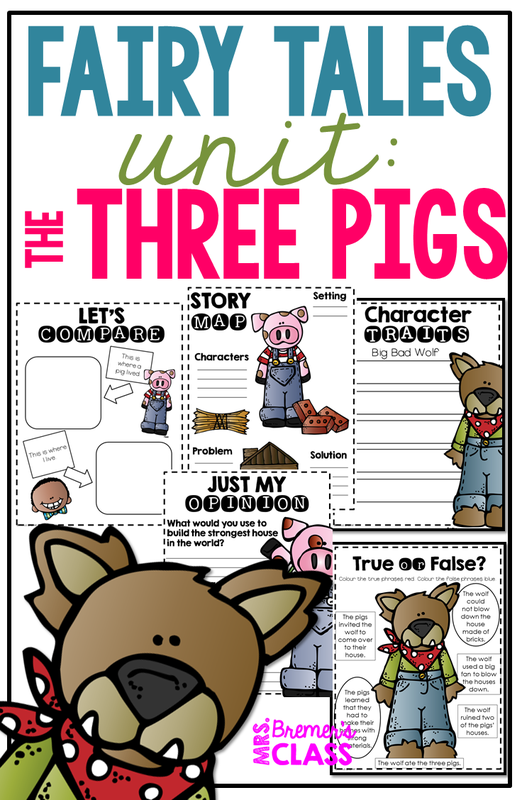 This first post is to share some activities we did with The Three Little Pigs. We started by reading many versions of this classic fairy tale. We also read some 'fractured fairy tale' versions. It was fun to compare and contrast what was in each story! We also did some opinion activities, writing activities, and more! Tomorrow I'll share what we did with the Fairy Tale: Cinderella.